A well presented and value for money, pocket-sized guide to film locations in New York City. 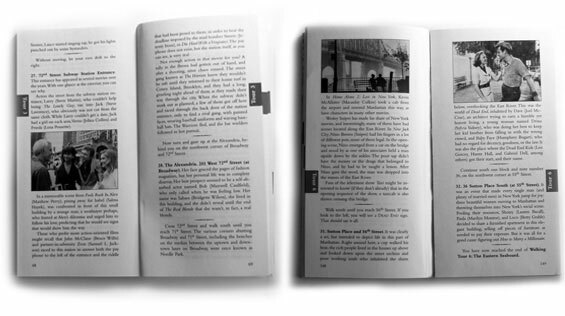 Manhattan on Film was originally published in 2000 with a follow up version a few years later. 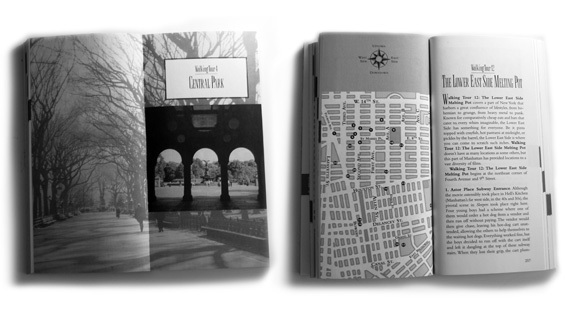 In 2005, a combined version of the two books was published containing 492 locations across the city. This book is divided up into 14 walking tours, which take no more than two hours to complete and the first one begins at the world famous Plaza hotel and surrounding areas then moves onto Central Park West including Columbus Circle. Tour 3 covers Uptown Broadway which leads onto tour 4 and Central Park with 40 actual locations. East of the Park is covered in tour 5 with the Eastern Seaboard to follow in tour 6 with such locations as Sutton Place, East 60th Street for Serendipity 3 and the 59th Street Bridge. Returning to Midtown Manhattan in tour 7 covering Park Avenue, the New York Public Library and Byrant Park with such films as Private Parts, Manhattan Murder Mystery and Bright Lights, Big City. Grand Central Terminal, the Waldorf-Astoria hotel and the Rockefeller Plaza are also mentioned in this tour, whilst in tour 8, the United Nations and the surrounding area come under investigation. The Theatre District is covered in the next tour, Chelsea in tour 10 and Greenwich Village in tour 11. In the final 3 tours, the Lower East Side, TriBeCa, SoHo, Meatpacking and the Financial District is covered. otsoNY Comments: This book is the essential guide for anyone who enjoys visiting film locations. Although small in size, the book is bursting full of useful information and the tours are extremely easy to follow. There is a useful index at the back of the book which lists all of the film titles featured with page references and by flicking through the pages, it is easy to see where each tour starts and ends with the handy divider tabs. The only downside is the lack of photographs to match the location to the original film scene.